Speaking more than one language has numerous advantages: It’s easier to switch jobs, communicate with peers, understand people around you, etc. While these are all practical, everyday matters, studies have shown that bilinguals are quicker, better at multitasking and actually smarter than monolingual people. The reason is that the development of the brain undergoes different processes when it learns to speak more than one language. Speaking different languages technically means remembering twice as many words, understanding different language patterns, grammatical sentence structures, pronunciation nuances unique to each language, etc. This is especially true when the two languages share the same alphabet. To be able to deal with this efficiently, the brain has no other option but to use more focus, energy and resources to quickly change between the two languages. In science, this process is called exercising the executive functions to decipher all the multiple codes within each language. 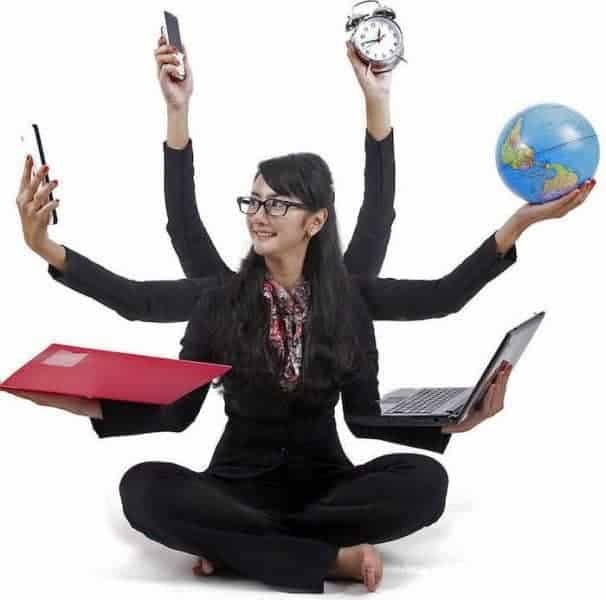 Are you great at multitasking? Due to having a more cognitive brain, bilingual/multilingual people are more adept at looking at a problem from a broader perspective, which allows them to approach it from multiple angles and find a reasonable solution much faster. This has a lot to do with the brain being used to switching between two languages, with each requiring a different approach, and therefore it’s easier for bilinguals to look for new ways of dealing with problems. Multilingual people are used to switching between different systems of speech, structure, grammar and writing. According to research by Pennsylvania University, this ability allows them to switch between multiple tasks faster and allow better attention shifting. Moreover, since it’s important to not make any mistakes when using different languages, the bilingual brain tries to minimize the number of errors when switching between multiple tasks. This essentially means that bilingual people not only multitask better, but also make less mistakes when switching between tasks. Thanks to the abilities of multilingual brains to multitask better and solve problems much quicker and in a more efficient manner, leads to being more productive at whatever they do. Because of this fact, every business should consider hiring multilingual employees to enhance the productivity of its everyday actions and ultimately, increase revenue and profits. Being able to speak multiple languages essentially means remembering more words, grammar rules, sentence structures, etc. This can be perceived as a constant exercise for the brain, just like lifting weights for your muscles for example, which makes it better in terms of memorizing lists, sequences, numbers and directions. Every employee that works for a business has to make a number of decisions, whether big or small, throughout his or her career. A study performed by Chicago University revealed that bilinguals are more likely to make the right decision, due to the ability of thinking about the matter in different languages. Processing thoughts in different languages helps understand the issue better and see the bigger picture, which in turn, leads to making the right choice (oftentimes, the best possible choice in the given scenario). While multilingual employees can make great additions to business teams, it doesn’t mean that having monolingual team members is bad. There are certain areas where monolinguals can beat bilinguals like fully focusing on a single task and dedicating attention when it’s most needed. This is why it’s a good idea to have the best of both worlds: try to attain the perfect mix of multilingual and monolingual employees to really maximize your potential and achieve business goals and objectives.